The apartment boom in the greater Charlotte area, as well as across the nation, is in full force, and even low-income housing is feeling the pressures of demand to increase their rates. 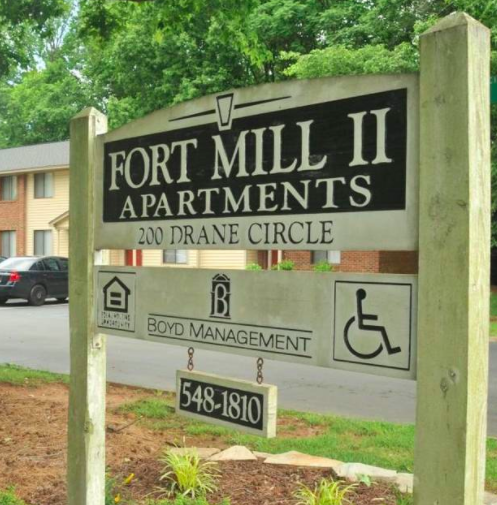 Three Fort Mill apartment buildings have been sold, and their rates will be increasing toward market demand. Current residents are concerned that they may not be able to make the rent payment, though the new ownership company, New Jersey-based Friedlam Properties, assures plenty is being done to assist the residents. Fort Mill Townhouse Apartments on Bolin Circle across from Fort Mill High School sold for $2.65 million. The second phase of the the apartments, located on Drane Circle near the intersection of Tom Hall Street and North Dobys Bridge Road, sold for $2.37 million. The Edgewood apartments on Banks Street sold for $2.16 million. As the units in the buildings become vacant, they will be renovated and then leased at market rate. With 144 total units and 95 percent occupancy rate, there isn’t any push to move long-term residents who pay lower rates, as the difference will be made-up with federal subsidies. Thus, there is no major rent increase on tenants who are already there. In 1987, when the apartments were built, they served as low-income housing with rent based on a percentage of each tenant’s income. That program has since expried, and the new owners do not want the properties to remain low income apartments, but they also do not want to displace anyone. Most current tenants whose leases were about to expire and were up for renewal, renewed at the slightly higher rate (though still not market rate), and only a handful of residents declined signing the new lease. There are concerns over what will happen if subsidized housing continues to be converted to market rate apartments in Fort Mill. However, the demands of the housing market are dictating higher pricing. For more details on this Fort Mill apartment purchase and what it means for the residents and the community, read the full article at heraldonline.com.